Starts at $8 per user per month for Discovery, $15 per month for the Active Platform. Options such as DLP, Encryption, and Malware Protection are priced separately. Starts at $2/month to $30/user month + maintenance costs/help desk costs + those that use a gateway with on-premises can be $30-150K depending on complexity. Breach Discovery + Log analysis, $2/user/mo. Add Mobile-only protection, $5/user/mo. Standard edition (mobile+web+DLP) $10/user/month, Enterprise (includes encryption and specific app control) $30/user/month). Cloud Access Security Brokers are products that act as a firewall, identity management, anti-malware, DLP plus encryption control/implementation and threat management all rolled into one. This article looks at Budgetary Pricing for 3 of the top CASB vendors – CipherCloud, Bitglass, and Netskope. Each one takes a different approach to stopping unauthorized, inappropriate, or uncontrolled cloud asset access. 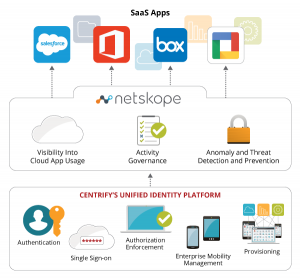 The Netskope Security Cloud helps the world’s largest organizations take full advantage of the cloud and web without sacrificing security. Our patented Cloud XD technology eliminates blind spots by going deeper than any other security provider to quickly target and control activities across thousands of cloud services and millions of websites. With full control from one cloud, our customers benefit from 360-degree data protection that guards data everywhere and advanced threat protection that stops elusive attacks. At Netskope, we call this smart cloud security. Netskope Security Cloud can be deployed 100% in the cloud, as an on-premises appliance, or via a hybrid configuration that includes both depending on pricing and cost requirements. Cloud and web traffic is steered to Netskope for inspection using our patented all-mode traffic steering technology that provides several out-of-band and inline options ensuring that you get 100 percent coverage for users on premises, mobile, and remote. For users accessing cloud services, full coverage is provided whether a browser, mobile app, desktop app or sync client is used to access sanctioned or unsanctioned cloud services. TLS-encrypted cloud traffic is safely decrypted using the Netskope cloud-scale architecture as part of the traffic steering process.